The world is changing – and that means the complex role of a leader is changing too. 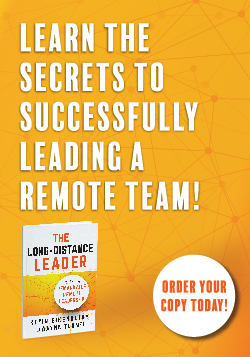 One of the biggest changes – and challenges that many leaders and organizations are facing is leading teams remotely. 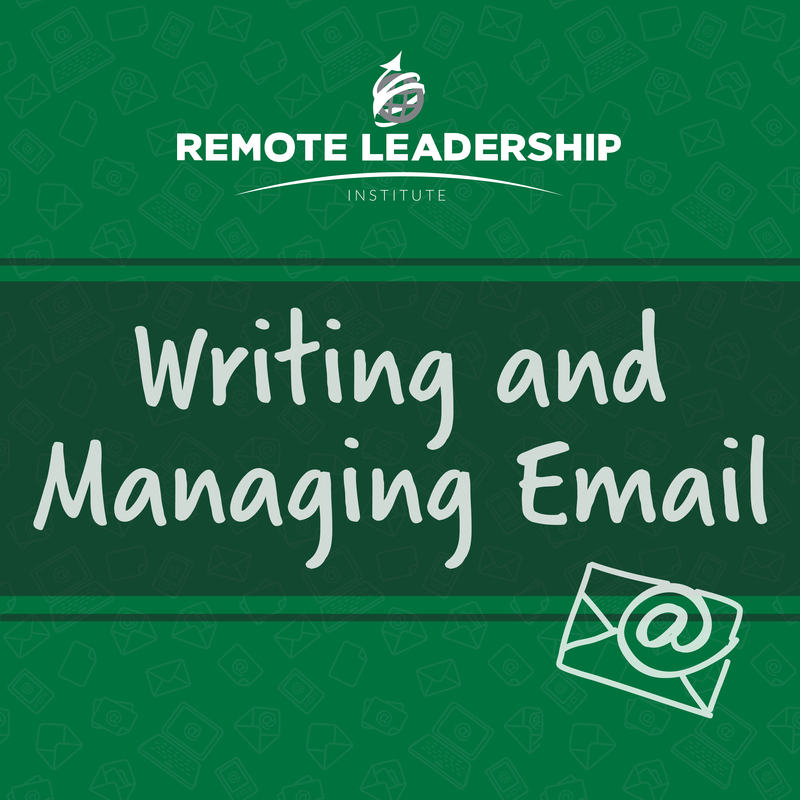 Leadership is hard … doing it remotely is even harder. 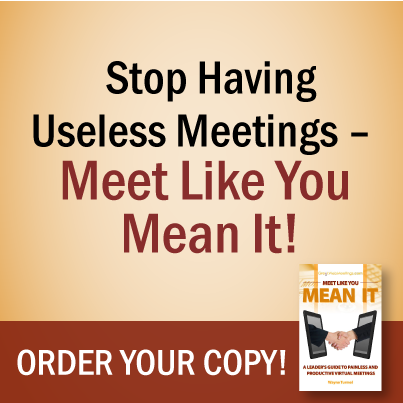 From communication…to performance management…to motivation…and more, as a remote leader, you’ve got to be prepared to stay connected, handle meetings and schedules and provide the support your staff expects and needs. 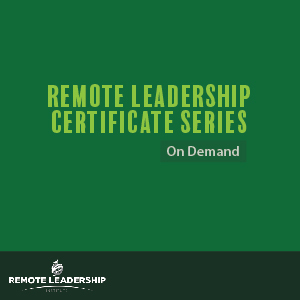 The Remote Leadership Certificate Series is a small group experience delivered remotely just like you lead so that you get the experience, exposure and access to us that you need to be successful. It is 6 online sessions targeted for the skills a remote leader needs, including building a virtual team, leading virtual meetings, coaching from a distance and much more. You can expect to have direct interaction and feedback with both the instructor and other attendees – ensuring that all your questions are answered and that you make the most of your investment. We specifically limit class size to allow for maximum interaction and learning. As one of only ten people participating in the group, you will have the opportunity to interact with your fellow participants, ask any and all of your most challenging questions and work directly with the instructor on applying what you are learning to your own unique situation. As a leader you know that helping your team member set goals – and then holding them accountable for those goals is part of your job. But more than that, it is critical to your success. Doing these things can be challenging in any setting, but when you are leading virtually, and not interacting or seeing your team members (and their work product) everyday, it is even more challenging. This session takes the principles of goal setting, supporting goal achievement and accountability and applies them to the unique challenges of doing it all at a distance. 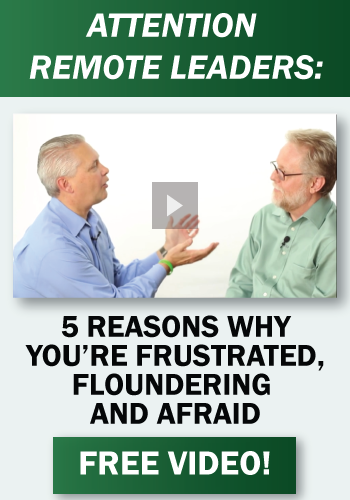 If you’re tired of being overwhelmed; if you’re falling further and further behind and sinking deeper into quicksand with no help in sight, and want to help yourself and your team become more successful, you cannot miss this virtual class, designed specifically to address the challenges that remote employees and their leaders face every day. This program is delivered virtually using our Members-Only platform so you can log-in access the materials whenever and wherever you want. It includes five modules, each with a 90-minute video and copies of the corresponding course materials.